You must make reservations at least 5 minutes in advance of the time at Bee and Thistle Inn. We will be closed 2/25-3/7 for our Winter Break! Contemporary, Distinctive, New England Cuisine. With a menu that changes with each season, our chef uses only the most fresh, local and seasonal ingredients to reflect the bounty of the Connecticut River Valley. Whether you are enjoying an herb infused cocktail at our bar, a casual small plate in our garden, or an elegant evening in one of our three dining areas, you will be sure to have a memorable experience. Treat your Mother to an elegant, plated pre fixe menu at the Bee and Thistle Inn. Save time for a walk down to our beautiful riverfront and through the gardens! The B&T is our favorite restaurant in the area for its lovely ambience, superb location and consistently good food. We have always enjoyed dining there, whether for dinner or a special occasion like Easter lunch, and this year (our fourth in a row) was no exception. And we really appreciate the warm and personal greeting on our arrival each time. We go to the Bee and Thistle a few times a month because it is consistently excellent. A number of people in our family get the cod every single time because it’s the best we’ve had anywhere. The service is always attentive, but never too much. I highly recommend Bee & Thistle. It had been a couple years since we dined here and still as good as I remember. Lovely service, didn’t feel rushed. Love the ambience. Outstanding evening! Arrived at 6pm,didn't leave table until 9:45pm. Not rushed, made to feel very welcomed. Dinner courses were served spaced out to allow conversation in between. The food was cooked to perfection, the cocktails mixed to perfection, the hostess, barmaid, waitstaff all very pleasant, helpful, cheerful and wonderful to interact with. Can't wait for our next visit! Parking was an issue due to live entertainment in the lounge. However we had a great table and very much enjoyed the music venue. Simply Phred was excellent! Only negative was the limited entree selections. The Bee is our favorite local spot. Sometimes they are busy and sometimes not, but any time it is a lovely place to spend the evening. Always a beautiful place to dine. The charm factor is a 5 and the service is attentive and very professional. The menu is not changed up very often and lacks inventiveness which prevents us from going frequently as we live nearby. The food however was cooked perfectly and presented nicely. I’d like to see more locally sourced foods. Lyme/old Lyme has a ton of farms where the food could be sourced. They are GF friendly. A bottle of Perrier was $11 for the table. You can go to the big y and get it for $1.89, so quite a mark up. This is the best meal that we’ve ever had in CT!! I’ve always loved the Bee and Thistle, but this meal was PEEFECTION! We started out with the wedge salad, and my fiancé and I are fine sharing a plate, but the chef kindly split the salad for us without us needing to request it. 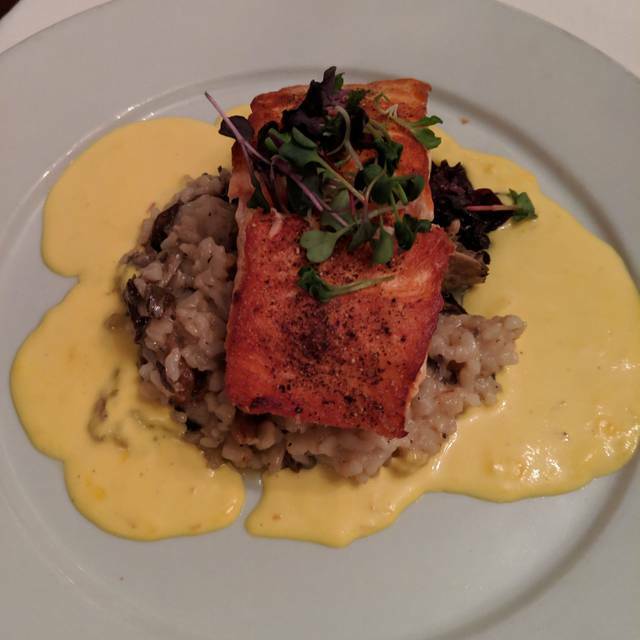 Then we had the salmon, accompanied by wild mushroom risotto and braised cabbage and the filet entree with mashed potatoes and vegetable. Everything came out very hot and all at the same temperature - this is not our usual dining out experience, and we were very impressed! Our table was amazing and our server, Lexie, is a ray of sunshine, just full of kindness and excellent service. We loved every part of our dining experience! The Bee and Thistle was a wonderful find. My husband and I love to experience new to us places. The Bee and Thistle was a magnificent find for us. The staff were wonderful, they were genuinely interested in making sure we were satisfied with every part of our meal. 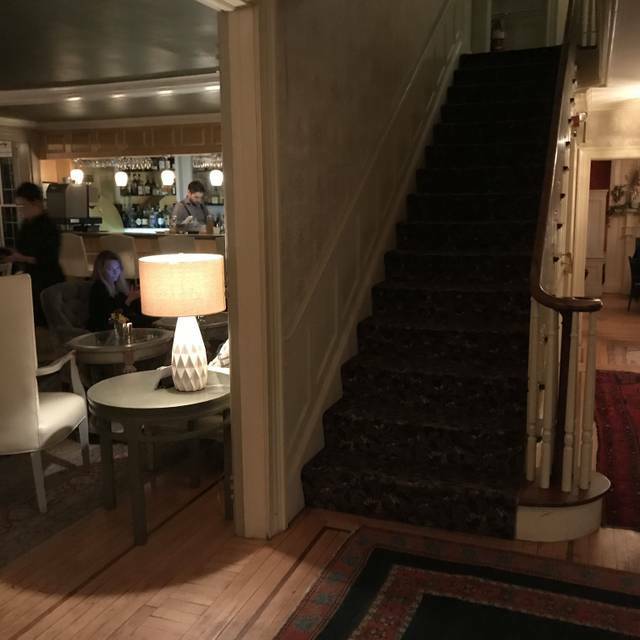 The ambiance is beautiful, the character of the Inn makes for a nice relaxing dinner experience. Great place to enjoy an evening out- great atmosphere and friendly service with tasty food! 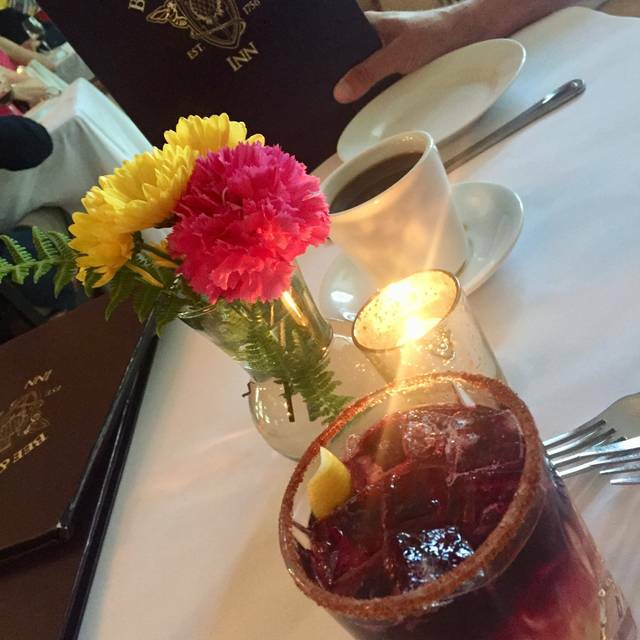 We have been coming to the Bee and Thistle Inn for dinner since we moved to New England in 2013. Not only is the ambience wonderful but the food is pretty consistent. And this visit, which was a birthday celebration, was no different. The food was delicious and well prepared from soup to dessert. There was one disappointment, however. One of the reasons we love coming here is their stellar bartender, Jack. When we came for a pre-dinner drinks we saw that he was no longer working there. I ordered my usual drink, a sazerac, which I always looked forward to when I came here. I’m still not sure what it was served but it wasn’t very good. What it made me realize is how important a good bartender is to a dinner house. I hope that the new one gets their chops going soon. Awesome experience: Food, service, atmosphere all very, very good. Highly recommended. We had an awesome weekend. Staff, food & ambiance were perfect. 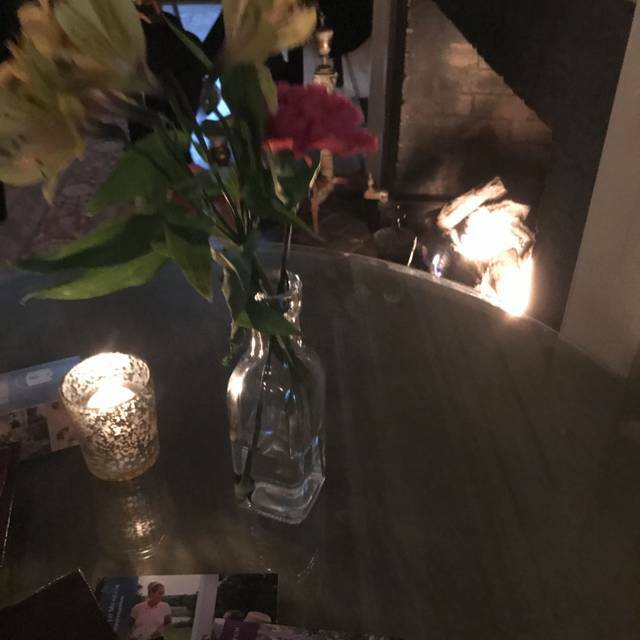 Historic beautiful house filled with antiques & cozy fireplaces enabled us to ignore dismal weather outside. 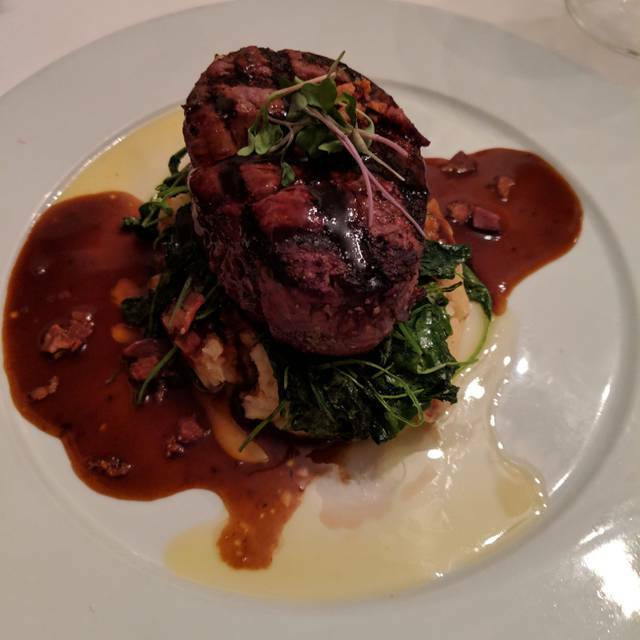 The service was gracious and attentive, the menu, though short, appealing as were the daily specials, the ambiance warm, and the food perfectly done and presented. We had a quiet corner and the food was exceptional. We have been coming to tea here for a few Christmas', usually experiencing a very lovely atmosphere and dainty well presented food. This year we had 5+ people instead of the usual 3 and unfortunately the service suffered. Typically we each get our own pot of tea on our table and they offer a pot refill mid way through our tea time. This time even though the table was more than large enough to house all of our pots of tea, the server would only bring tea to us when she remembered or if we hailed her down as she ran from place to place. Not ideal at all. For the $40 a head service and built in 20% gratuity the service should be much better than it was. Tosh is doing a Great job managing the Bee and a Thistle.We all enjoyed our evening there. Thoroughly enjoyed our evening. Great couple special offered with bottle of wine. Christmas decorations were very festive. Party of 6 and everyone enjoyed their meals. Beautiful and romantic setting as well as fabulous food and service. Service was incredibly slow (1 hour between recieving appetizer and entree) in spite of repeated requests "Where is our entree?" Food was ordinary. Was really a great experience. The food was so fresh and amazing! Service timing could have been better, but full disclosure we were not ready to order several times when our server came over because we had not seen our friends for quite some time. When we were ready, it seemed difficult to find her. BUT....do not mistake this for ANY displeasure. This restaurant was outstanding!!! Birthday Dinner for my husband! Wonderful dinner by the fire on a cold and chilly evening! The decorations were lovely and added to the ambience. The food and service were excellent. Initially, the room temperature was a little on the cool side for winter. It improved after the heat was turned up after our request. Wonderful food and a great atmosphere! There was some live music was excellent and not to overpowering that it was a disturbance to our evening. Very nice location in Old Lyme. 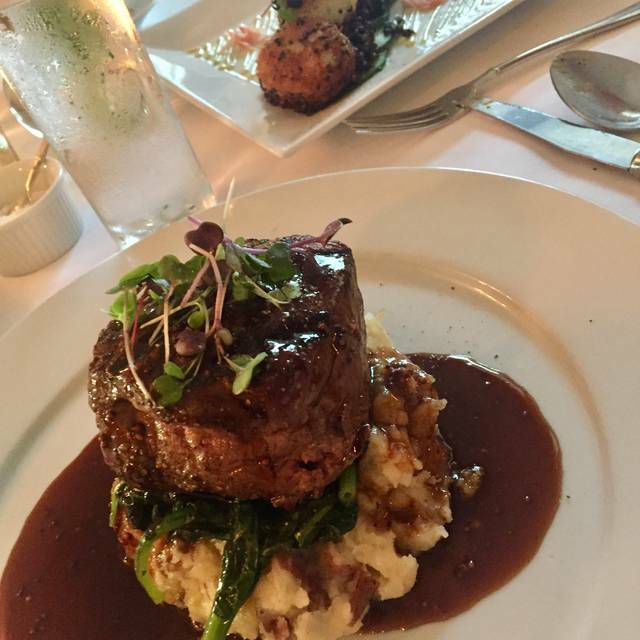 Filet Mignon & Salmon were excellent. Our waitress was very nice and attentive. What bothered me was seeing other waitstaff standing around near the bathroom/office area talking vs working and also reeking of cigarette smoke. We enjoyed an outstanding Thanksgiving dinner at the Inn. Every aspect of our experience was excellent. The food, service and ambience was beyond our expectations. I highly recommend the Inn for a holiday meal or special occasion. We are looking forward to our next visit. Went for Thanksgiving dinner and was blown away. Great atmosphere and great service. The waiters and servers were helpful with just the right amount of attentiveness. The food was fantastic and creative. Highly recommend the The Bee and Thistle. We will be back. 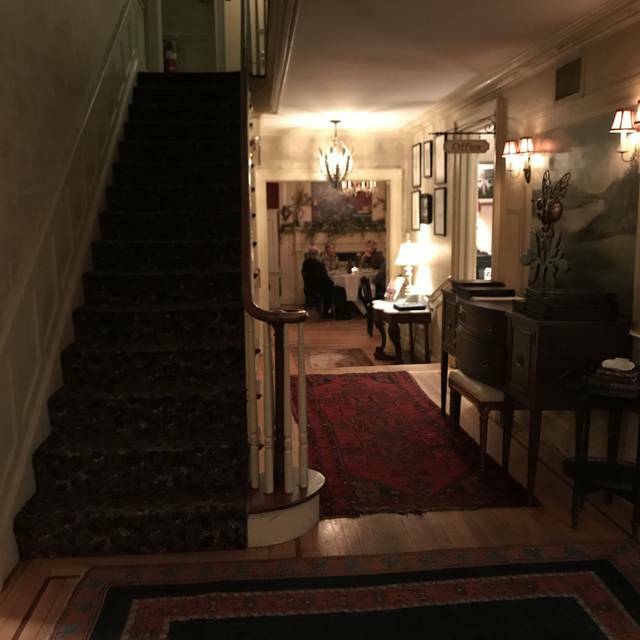 The entire experience at the Bee and Thistle Inn was wonderful. This was the first Thanksgiving Day that I did not cook. The chef and staff did a wonderful job making the day memorable. We spent Thanksgiving here for the 2nd year in a row. Food is very good and service superb. However the dinner is advertised as "family style" and last year it was. This year, it was family style only for parties of 3 or more. For two people the food was plated. It makes a difference for Thanksgiving, so we were a bit disappointed in that. Also the restaurant was very chilly this time. They said the heat was turned up to 90, but I had to put my coat over my legs and shoulders. Other than that, a wonderful atmosphere to dine in, with very good food and service. The bathrooms, although quaint, can use some updating for sure. Going back for high tea next month! Outstanding service, perhaps best I've ever had - responsive yet not intrusive. Food was excellent, although a little bland. The addition of the fresh ground pepper to the lobster bisque made a world of difference. VERY friendly place, almost like you have stopped in on old friends. 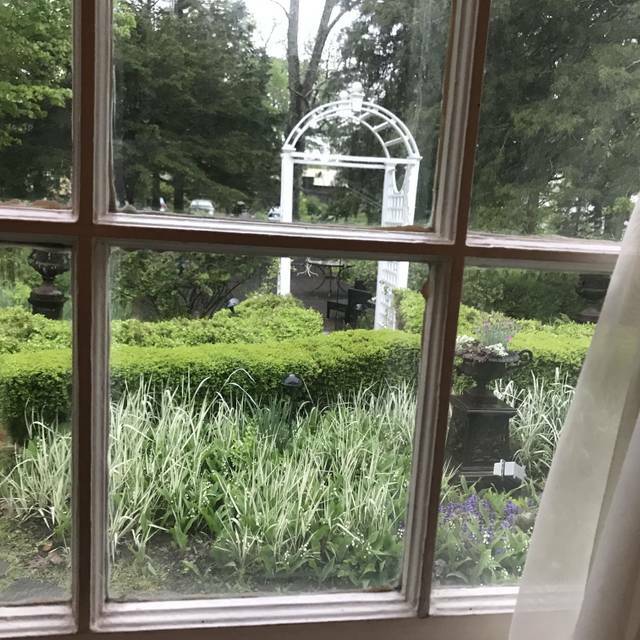 Beautiful & romantic B&B with a great restaurant. Expensive, but worth it.